Want to check out some live music this weekend? Got plenty of options here! How about a Shrinky Dink Jewelry Party? Check. Earth Day festivities? Check. Gamer Symphony Orchestra. Double check. Then round it all out with some yoga and barre classes. All here. All this weekend. High-fives for all! Special Thanks to our sponsor of this Kids’ Weekend Guide! 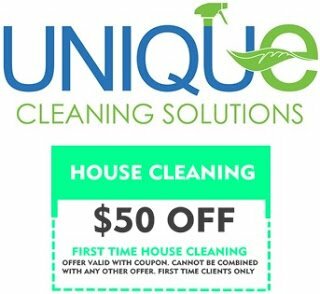 See coupon below for $50 off first time house cleaning! Start your weekend off right (and early) with a free wine tasting! Yes, please! Wind down your long work week and prepare for an enjoyable weekend with this TGIF yoga class! Musicians Gary Prince, Chris Brown, Sarah Foard and Manny Arciniega offer an exciting re-interpretation of Olivier Messiaen’s work “The Quartet for the End of Time” as the human race faces new threats of intolerance and fascism, serving as a reminder that music can overcome any obstacle and soar above any wall. 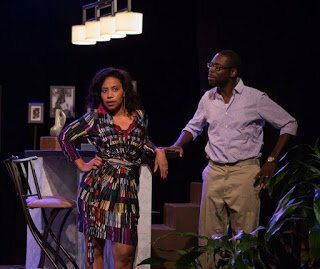 Be one of the first to check out this production by national award-winning playwright James Ijames at their Pay-What-You-Wish Community Preview Night! 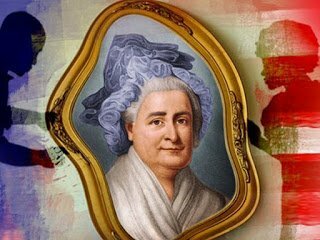 About the play: The recently-widowed “Mother of America” lies helpless in her Mount Vernon bed, ravaged by illness and cared for by the very slaves that are free the moment she dies. The fever dream of terrifying theatricality that follows investigates everything from Martha Washington’s family to her historical legacy. Cost: Pay What You Wish – Purchase tickets here. Check out this tribute to the legendary Johnny Cash, featuring spot-on recreations of both the sound and spirit of the originals! Celebrate Earth Day by donating to the Chesapeake Bay Foundation! We’re holding four donation-based classes today, and 100% of the funds raised will go to the Chesapeake Bay Foundation. Please come prepared to donate a minimum of $10. Hear from AARP guest presenter about changes in healthcare. Learn about dancing, music and recreation options. Discuss caregiver and family dynamics and learn about ways to find support. Head out on for a weekly, free, 5K, timed run. Afterwards, enjoy a post parkrun coffee in The Board & Brew, 8150 Baltimore Ave, College Park. All ages welcome! Admission: Free but please register before your first run. Celebrate Earth Day by participating in a community watershed cleanup and gardening opportunity! Training and materials will be provided. Come out for a fantastic evening of live, orchestrated video game music performed by the Gamer Symphony Orchestra at UMD! We have prepared many wonderful selections like pieces from Pokemon, Uncharted, Donkey Kong, Zelda, and more. Our mission is to bridge the worlds of video games and the performing arts and promote orchestral VGM as an art form. Admission: Free! Reserve tickets here. Movin’ with the Mayor – Hip Hop! Dance with Mayor Candace Hollingsworth & your neighbors in this FREE Hip Hop class! An original, upbeat take on the blues that wanders into the worlds of funk, R&B and rock with the fiddle as the X-factor. Learn the foundations of the poses and philosophy of yoga in a cozy atmosphere ripe for asking questions! This class is great for beginners or those looking to refine or clarify their work. Performer, composer/arranger and educator, Allyn Johnson was specially chosen by jazz legend Calvin Jones to succeed him as director of the jazz studies program and jazz ensembles at the University of the District of Columbia. DC’s premier Western Swing Band! Playing together since 1995, they have performed at the Kennedy Center, The Smithsonian, The Annie Oakley Festival and many more! Swing music in the Bob Wills tradition! Always call or check the event website before heading out; Event information is subject to change or weather cancellation. Want your business to sponsor a Weekend Guide or Advertise on Route One Fun? Go Check Out “Rabbit Summer” by Ally Theatre Company!